We are collecting donations of NEW and very gently used stuffed animals to give to patients and families of the Children's Stollery Hospital at Dreamnight at the Zoo! 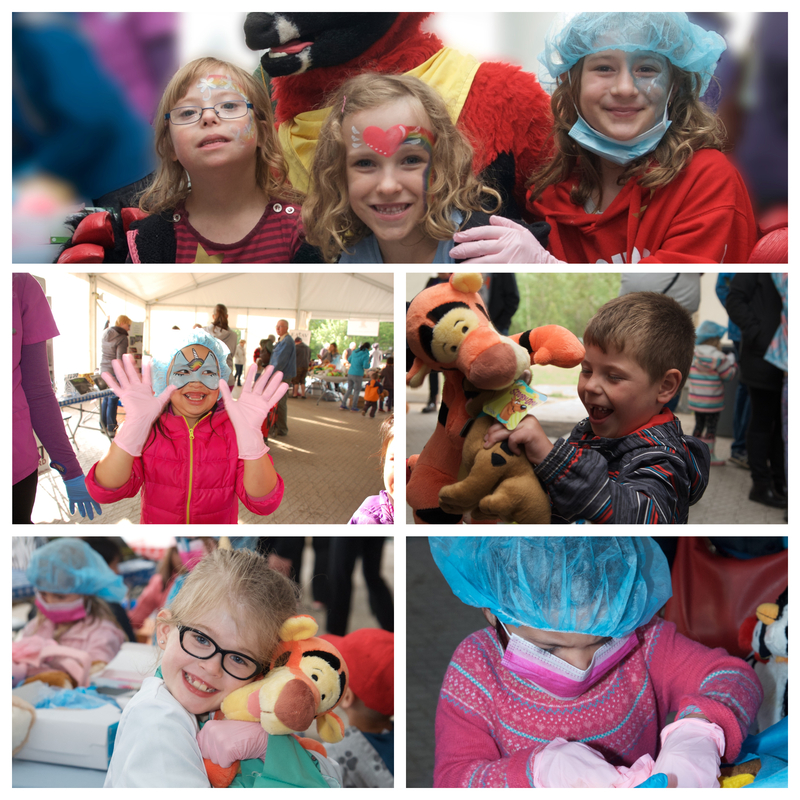 At our Teddy Bear Hospital, over 700 children are given a stuffed animal and invited to interact with real veterinarians and vet techs while they remove foreign bodies from our stuffed surgery dogs, participate in various interactive displays, bandage their new friends (and themselves!) and participate in a poop scoop race. If you can donate stuffed animals (any size) to one of our Veterinary Clinic Depot centres, please visit one of them today! Questions? Please contact our Executive Assistant, Smokey Walters at (780)970-3728 or by email to info@easav.ca. Like and follow us on Facebook to share our Teddy Bear Drive with your family & friends and receive updates! The following clinics are ready to take your donations until May 10, 2019! If you would prefer to drop donations off at your own veterinary clinic, ask them if they can store your donation & contact us on your behalf! Background information: Dreamnight at the Zoo is an annual international event held by over 255 participating zoos, aquariums, and parks, providing a joyous cost-free evening for chronically ill and disabled children and their families. In Edmonton, this event is celebrated by the Edmonton Valley Zoo in partnership with the Stollery Children’s Hospital and many local volunteer contributors. Since its inception in 2015, children have found delight in EASAV’s ‘The Teddy Bear Hospital’, a brainchild of the late Dr. Milton Ness and Smokey Walters, EASAV’s Executive Assistant. With each year, its popularity continues to grow and now the hospital’s capacity is designed to accommodate more than 700 child visitors. Families who visit us will find a cozy "hospital" experience provided by EASAV member veterinarians, clinic staff and their families. Interactive hands-on displays include adoption of donated stuffed animals with personalized ID collars, a bandaging centre, stocked with decorative vetrap for wound care, and a surgery room, where foreign body surgery can be performed on a stuffed “teddy”, revealing surprising treasures inside to reward the brave surgeons. An outdoor photo booth to record and help commemorate the event all add to the fun. EASAV would like to thank the following outstanding contributors to this event: Dr. Shannon Wawryk and staff at the Stony Plain Veterinary Clinic (Photo booth), The Millwoods East Veterinary Clinic & Summit Veterinary Pharmacy (Candy donations, current and past), The Capilano & Ottewell Animal Clinics (initial Teddy Bear Drive & surgery dogs), Uncas Veterinary Clinic (Adoption Centre). Dr. Maria Sung for hands-on displays and Kathy Ness for her annual donation to this program. For more details and a full list of our event contributors, please scroll down to the bottom of this page.